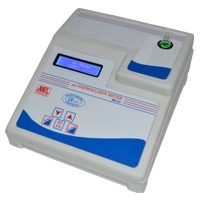 ME 53 : Microprocessor Hemoglobin Meter with 16×2 lines LCD display for direct HB results soft touch keys , auto calibration. Standard memory Facility . 1 ml Sample measurement .